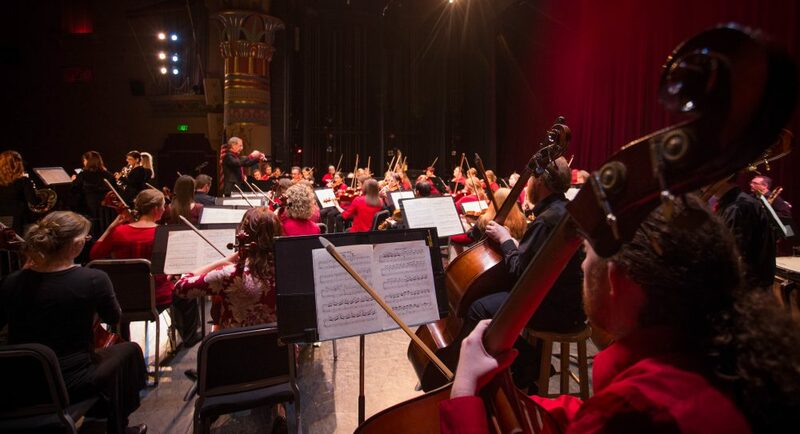 Much of the ceremony of a classical music concert leans heavily on tradition. The problem with this is that some of the things that happen can be befuddling or, worse, alienating to those new to the experience. The aim of this page is to help demystify classical music concerts for those new to them (or just to serve as a refresher for frequent attenders). As in any public gathering, a ringing cell phone can be very distracting. Please take the time when you enter to make sure yours won’t make any noise. Once you come in, you’ll notice the musicians on the stage already, warming up, getting their jitters out, and taking a last-minute look at some of the harder passages. This can sound quite cacophonous, so just sit back, relax, read the program, and have a chat before the concert starts. You’ll know it is starting because the orchestra will stop warming up and the lights will dim. The first chair violinist, called the concertmaster/mistress walks out, and generally the audience applauds for his/her entrance. Theirs is a position of honor, and historically the concertmaster is the person in charge of the orchestral “troops”. The concertmaster will then give a signal to the first oboist, who will play a tuning note, first for the winds, then again for the strings. Why the oboe? It has a piercing tone that makes it very easy to hear while tuning up. Once all this is over, the concertmaster will sit down and the orchestra will wait for the conductor to enter the stage. When he does, the orchestra stands (a gesture of respect) and the audience applauds again. Now it’s ready to start. Unlike at concerts of some other musics, classical music audiences wait for the end of a piece before applauding its performance. Some pieces are divided into discrete sections, called movements, and since about the nineteenth century it is customary not to applaud in between movements. If in doubt, just do what the people around you do. Why all this emphasis on when to clap and when not to? While some pieces of music were in fact originally intended to be performed for noisy and inattentive audiences, much of what we play was written with uninterrupted and detail-oriented listening in mind. That doesn’t mean you can’t just sit back and enjoy the show, but it does mean that some around you will be listening differently. And no, you don’t have to “dress up”.